Christmas carols as you may have never heard them before. A true gem! 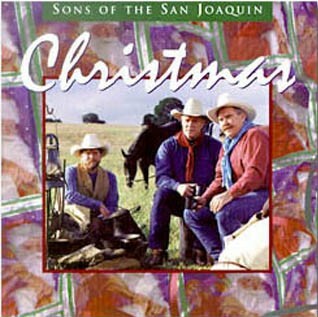 We are very proud to present to you Sons of the San Joaquin Christmas. We’re truly excited about this recording,­ not only because we feel it is artistically first-rate, but because we believe you will be pleased to hear still another side of the Sons’ musical heritage. We see Christmas Carols as an integral part of America. Carols came with the pilgrims, and have been a part of the folk lore of our country before Jazz, Blues and the music of the cowboy.